Dreams are often perplexing because their imagery is uniquely weird. Yet other dreams make use of imagery that seems common from dreamer to dreamer. Dreams of flying, or trying to fly are experienced by lots of people. Another common theme involves being chased in a dream. Monsters make frequent appearances. And then there are dreams of being on stage, or in front of an audience of some kind and being unprepared. Perhaps the dreamer is supposed to give a talk, or answer questions, or perform in some other way, and something goes wrong making the dreamer’s job difficult or impossible. Although I have never kept track, my guess is that the majority of dreamers have had a dream like this at some time in their lives. This week, we’re going to examine a dream like this. My “day job” involves working with musicians, so performance issues are particularly poignant with this group. The following dream was recently related to me by man who, before retirement, was the principal French horn player in a symphony orchestra. He said he had had versions of this dream repeatedly over the years, and he couldn’t understand why, now that he was retired, the dream kept coming back. I was at a concert, about to perform with the Symphony. It was shortly before it was time to go onstage, and I realized that I had left my horn on the piano in my studio at home. 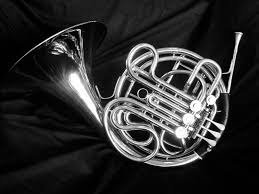 I thought about driving home to get my horn, but I realized that I locked my car keys and my phone in the car, so I couldn’t go home, and I couldn’t even call my wife for help. That’s when I woke up. There are two distinct directions to go in dissecting this dream. One option is to understand the symbols as metaphors, then reconstruct the dream in a metaphoric restatement. That’s what I usually do in these posts, and I will do it with this dream as well. But this dream has an additional element that is worth commenting on. In the second italicized paragraph above, the dreamer describes not only the characters and actions in the dream, but he also states that there was an additional person involved outside of the dream. He refers to this additional person as “the observer.” The observer comments on the dream and even passes judgement on it.